In an incisive commentary posted at the Los Angeles Times, food critic Jonathan Gold says he’s no admirer of the way the ‘World’s 50 Best’ awards ceremony played out earlier this week. “Does the list really represent the world? Not really — a little more than half of the restaurants are European. 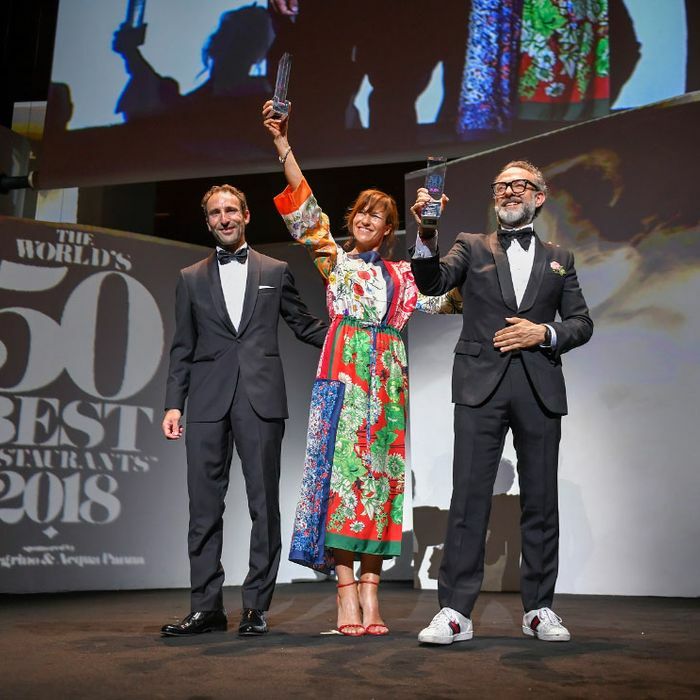 Latin America and Asia score seven restaurants each, and there is a scant single entry from Australia and Africa,” he writes. Arguably worse, Gold says, is the continued omission of women chefs, whom organizers tend to spotlight with a category kept separate from the rankings. “The committee’s reluctance to promote like-minded chefs [Dominique] Crenn, Anne-Sophie Pic or Nadia Santini, to name just three women it has awarded Best Female Chef, is perverse, short-sighted and wrong,” he writes. For his part, Gold is widely considered to be the country’s most influential critic, to the point where he appeared as the subject of his own documentary. Dominique Crenn’s San Francisco restaurant Atelier Crenn disappeared from the list altogether after its previous No. 83 ranking a year earlier, Gold notes, though it’s more “influential than ever.”As someone who — let’s be honest — is at times chummy with a bunch of chefs on the ‘50 Best’ list, it’s all the more remarkable for him to condemn its lack of diversity.